Register for the Amazing Grace today! The Amazing Grace is back for the 6th year with some exciting changes. Join us on April 13th, 2019 for a 5K or 10K run through the west side of Joplin. The race starts and finishes at St. Paul's United Methodist Church. As one of the top running events in the Joplin Area, you will not want to miss out on the Amazing Grace. 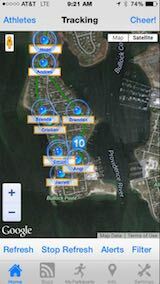 Make sure you download the RaceJoy mobile app for live phone tracking at the Amazing Grace. 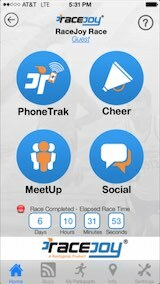 The Amazing Grace is sponsoring RaceJoy to provide participants and spectators these features for free (normally a 99 cents upgrade fee for both the participant and spectator). The Amazing Grace has course maps available.